I hope you all had a wonderful Thanksgiving and ate more food than you thought you could fit in your stomach! I ate a whole lotta biscuits. 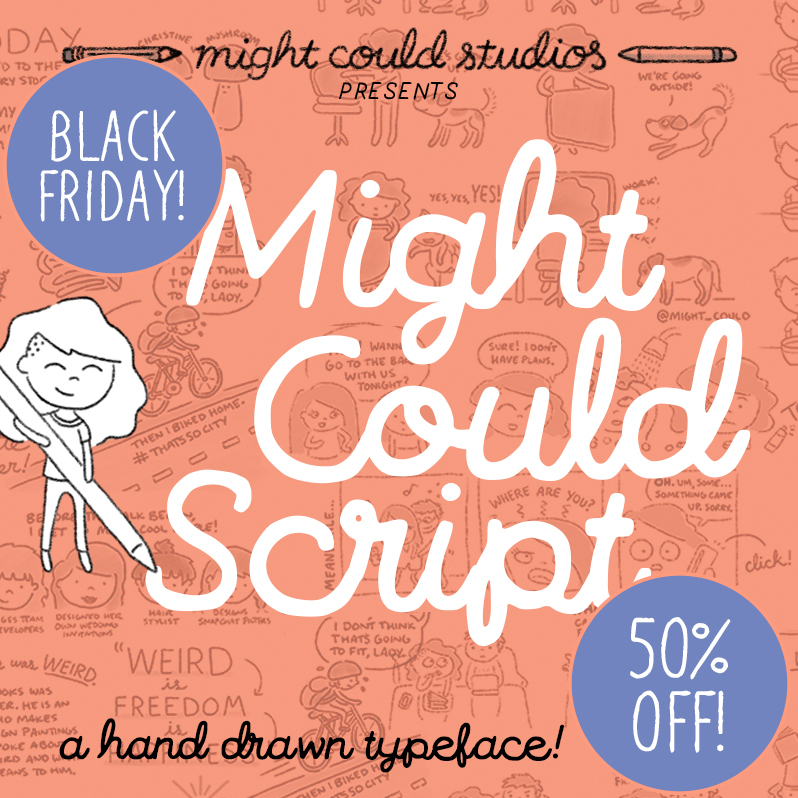 This includes my two new hand drawn fonts, Might Could Sans and Might Could Script! Any sale today is also part of the Pay It Forward initiative to give 10% of my earnings throughout November to All Hands Volunteers, a non-profit that helps communities impacted by natural disasters like recent flooding and hurricanes in Louisiana and Haiti.